Please don’t feel like I dropped a bomb on you and then disappeared. After posting about upcoming changes to my site I came back to visit my parents, and haven’t had much to talk about. I don’t usually pre-schedule many of my posts and just didn’t have content to share. I’d rather be quiet then blabber so I just haven’t posted. I did find a few neat thrift store items, mostly a big stack of vintage cookbooks, some of which are even from the 1940s! I’m hoping to try maybe a recipe a week and talk about it here. We’ll see how much I manage to work in. BUT right now for you, I have the next Crochet Tutorial video- how to Double Crochet!! 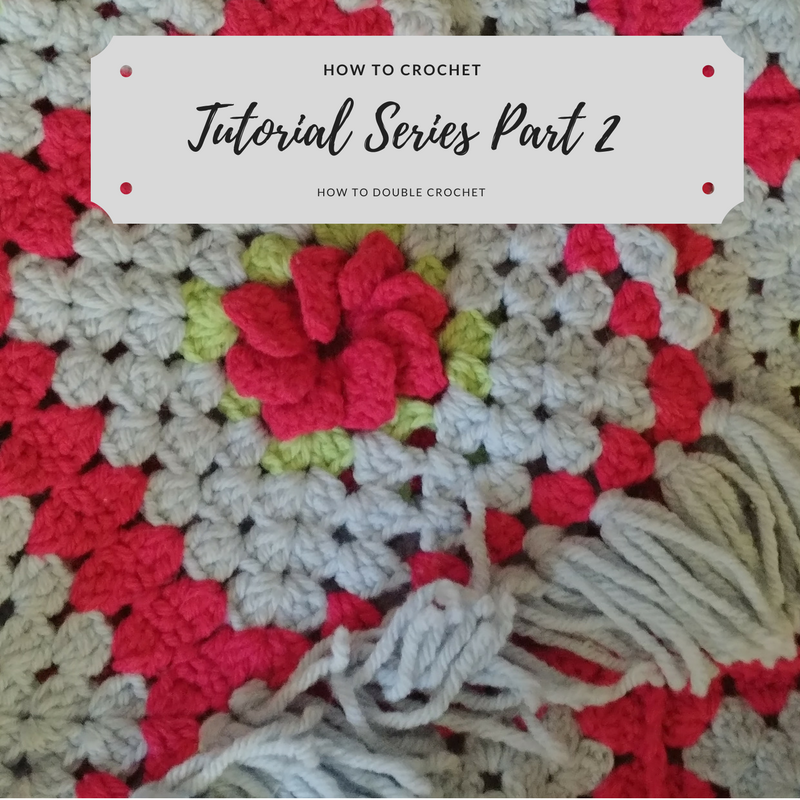 Once you have learned the double crochet you can now make some of my most popular patterns!! The Kathryn Shawl and the Ann Shawl! Both of them utilize the double crochet!! On a side note, speaking of the Ann Shawl. Many years ago my Aunt Ann (where the shawl name came from) designed a pattern for a Hot Hat, a hat shaped hot mat that fits on pot lids. It can still be found and is on Ravelry! I remember her being SO excited for it to be published in a crochet magazine. 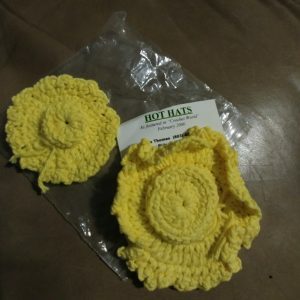 Well, at the thrift store I managed to find a set of her old hot hats, WITH a business card for her and my other aunt, from when they used to do craft shows!! I bought it, just for old times sake. I’m such an old softy. Plus the thrift stores here are super cheap. The large size got smooshed a bit on the edges over the years, but it was a nice, sentimental, thrift store find.